Trina Solar Panels Review - Solar Power Systems for home! Company Background, Over 20 Years Of Power. Trina Solar, founded in 1997 and has in fact 20 years experience in solar. So while Trina makes most of its panels in China, it also makes them in Thailand and The Netherlands. Trina is the world’s largest panel maker, and as a result, number 1 on Bloomberg's Tier 1 list. It has over 23GW of solar shipments globally and in fact 14,200 employees worldwide. Trina has many patents, they have over 1,300, and they also sell right across Aussie. 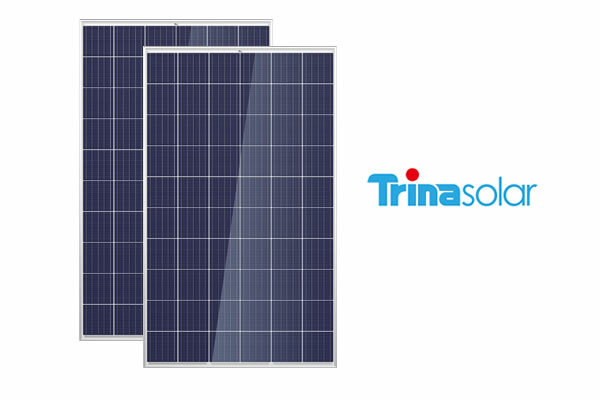 With a history of success, Trina has proven itself then as one of the top makers of solar panels. They have a similar approach to quality as Jinko Solar who are also one of their main rivals. Trina has been in solar for nearly 20 years, and hence has built a solid reputation in the local market. Since 2011, Trina has set 15 records for solar power output. The Trina Honey panel has therefore gained strong market share here in Aussie. Many large projects here as a result, have chosen Trina as their preferred panel. The Trina Honey series is the panel we use, and indeed the TSM-PD05 275 watt solar panel is our favourite. Visibly well made, the high quality of these panels is so easy to see. The frame is rigid and also firm. There is precision in the construction of the panel, that we have so much come to expect from Trina. Warranty is much then like most other panels at this time. That would be then 10 years on the panel itself and 25 years on its rated output at 80%. As at 2017, no problems at all with Trina, but then we would not expect hassles in getting support either. In fact, Trina has a Sydney main office, and support easily found across the country. We like Trina panels, they are one of only a handful of products hence that we offer to our clients. A truly great, mid priced panel that then as a result we can only recommend.